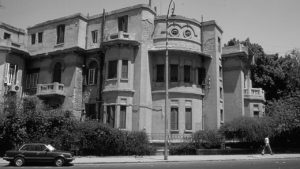 The Research Centre in Cairo is based at 11 Mahalla Street in the historic district of Cairo ‒ Heliopolis, in a house which was purchased in 1993 with funds allocated by the Foundation for Polish Science. The Centre also rents lodgings at 14 Nazih Khalifa Street (the so-called House on Baron’s Street). 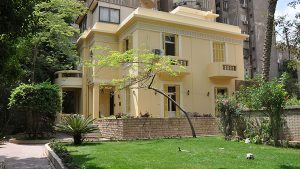 Conveniently located near an underground station, the Centre facilitates access to Cairo’s main scientific institutions (universities, libraries of foreign research institutes, e.g., French Institute for Oriental Archaeology, Netherlands-Flemish Institute, German Archaeological Institute, ARCE). It enables Polish researchers to process scientific data while still in Cairo and provides them with a reference book collection and space where they can prepare for excavation work.